Free Water Project (free drinking water for everyone) – can we put an end to medically unsafe water? According to the UN’s research, more than one billion people on Earth don’t have access to medically safe drinking water, that accounts for only 2,5% of world water supplies. Almost 10% of all the world’s diseases would not even exist if water supply, sanitary conditions, and hygiene were improved, and if water resource management was at a higher level. Plastic is a material that the Earth cannot degrade and therefore huge plastic islands are formed in the oceans that systematically destroy wildlife, which undoubtedly affects human health, too. On the other hand, glass is the most natural material for water preservation that is also 100% recyclable. So, how to tackle all of these issues with only one project? Freewa – Free Water Project is dedicated to assuring that free, clean drinking water can be traced worldwide by anyone. 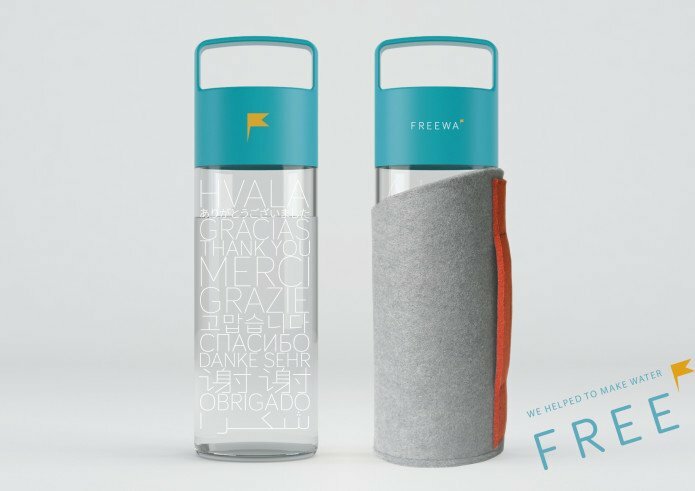 Freewa is a web platform, a mobile app for mapping free drinking water locations worldwide and a glass water bottle with a bag made out of recycled plastic. So, by buying Freewa eco bottle you not only receive a beautifully designed and functional glass bottle that helps reduce plastic pollution but also support the free Freewa web platform and mobile app that make it possible for everyone to map and find free drinking water locations worldwide. Sounds quite amazing, right? So did 259 supporters of Freewa’s Indiegogo campaign think and thanks to them over $30.000 was collected to initiate the Free Water Project. Freewa has also recently joined efforts with Croatian Public Health Institute, Ericsson Nikola Tesla and the Faculty of Electrical Engineering and Computing in Zagreb on a WaterQ project that aims to develop more advanced technologies and tools for water security assessment and integrate them into existing public health and environment protection processes. 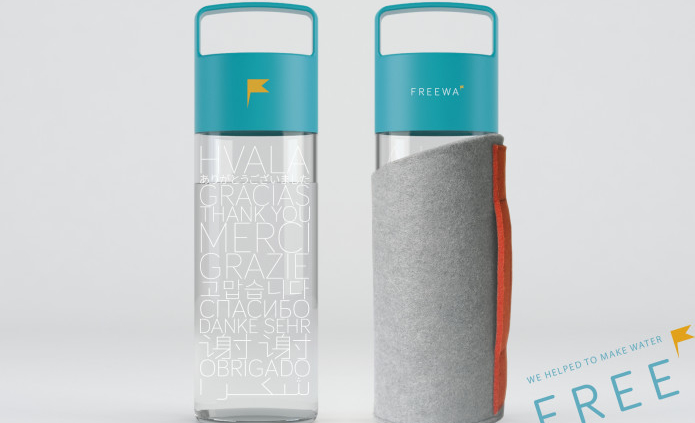 As a part of this, it is expected that a new Freewa bottle will come with an integrated sensor that will provide information on water safety. Hopefully, all of this will bring us one step closer to Freewa’s final goal – to make clean drinking water free and accessible to anyone, anywhere. https://www.crowdfundport.eu/wp-content/uploads/2018/04/freewa.jpg 491 695 wpadmin https://www.crowdfundport.eu/wp-content/uploads/2019/01/cfp-logo-1.jpg wpadmin2018-04-12 12:25:062019-03-14 09:32:07Free Water Project (free drinking water for everyone) - can we put an end to medically unsafe water?